The German Federal Ministry of Food and Agriculture (BMEL) have set themselves the task of shaping the framework for „Digital Farming“. The main question here is: Which consequences arise from the digital transformation for agriculture and the agricultural sector? And how can agriculture – and also small and medium-sized farms that are less capable for investing –, the environment and the consumers equally benefit from the new opportunities. The recent future programme gives an overview of the current state of the art and its implicit opportunities and challenges. 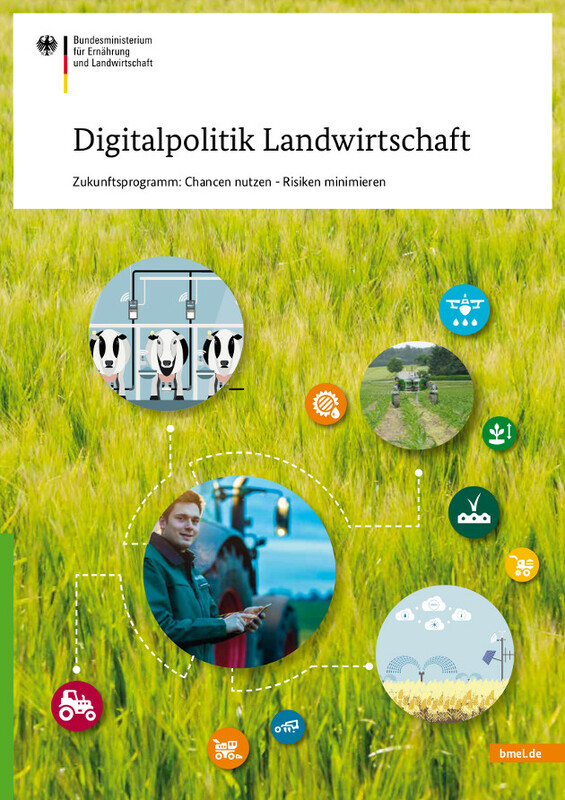 It aims to show how to apply digital politics to and with agriculture and tells us in which fields the German Federal Ministry of Food and Agriculture already actively participates in or plans to engage in future. Digitalisation changes our way of working, of communicating and of consuming, or in short: our whole lives. And it does not stop at our agriculture either. Rather, it assists in preserving our natural resources and applying plant protection agents and fertilizers more efficiently, thus protecting our environment. The gap between highly productive high-tech machines and low automated process sequences is continuously widening. So far, technological development is advanced especially by agricultural engineering manufacturers. For that reason, the cooperation between individual service providers should be actively promoted. 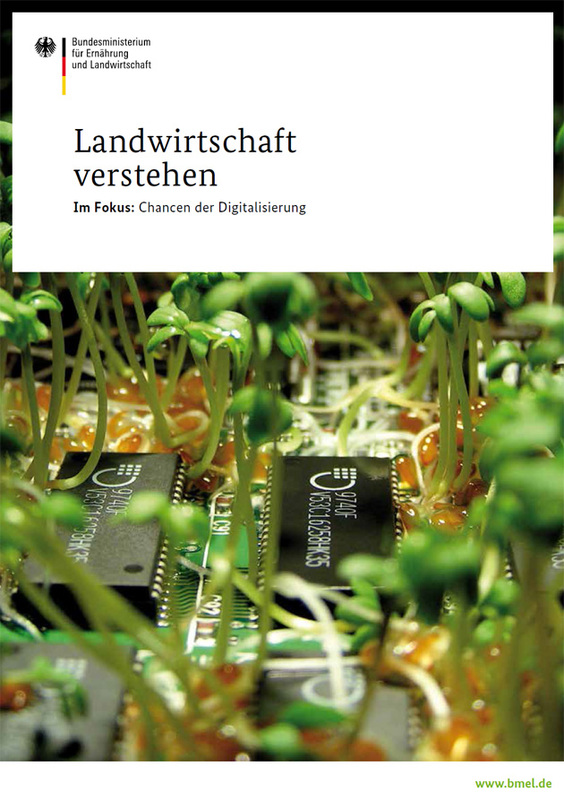 This brochure aims to give an insight into the multi-facetted digitalisation of agriculture.